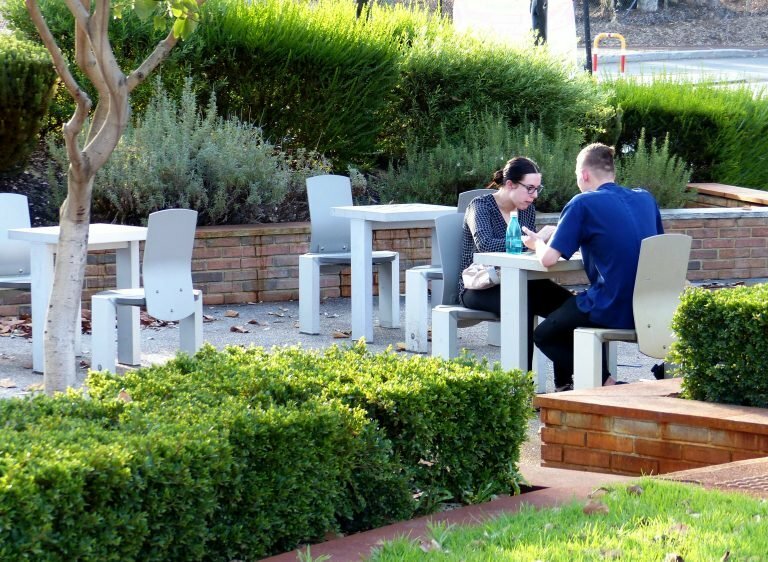 A lengthy process of community consultation undertaken by the inner-urban City of Vincent resulted in the development and implementation of a suite of enhancements and upgrades to transform and invigorate the Leederville Town Centre. Oxford Street Reserve was identified as a cornerstone project in the overall program. Landscape architects Blackwell & Associates worked with passionate community members, councillors and local council staff to create a multi-purpose park providing amenity for a variety of users. The new park now activates the southern end of Oxford Street, enabling people from nearby shops and cafes to spill and occupy the site, bringing with it activity, interest and a place for the community to connect. 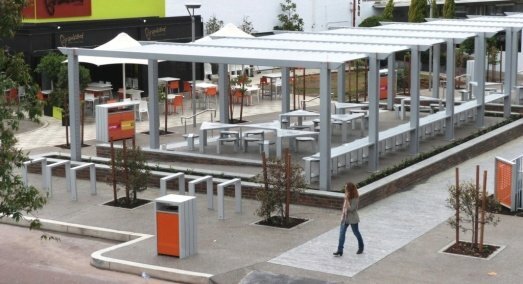 Blackwell & Associates selected our Urban Edge street furniture range for this ‘urban park’ project and specified seating, triangular table settings and litter bin enclosures with custom graphics for use throughout the site. They utilised our range alteration service to design a bar-height stool for use in a shady raised seating area that provides an uninterrupted view for parents of the nature playground, whilst relaxing with a well-deserved coffee from the adjacent café! 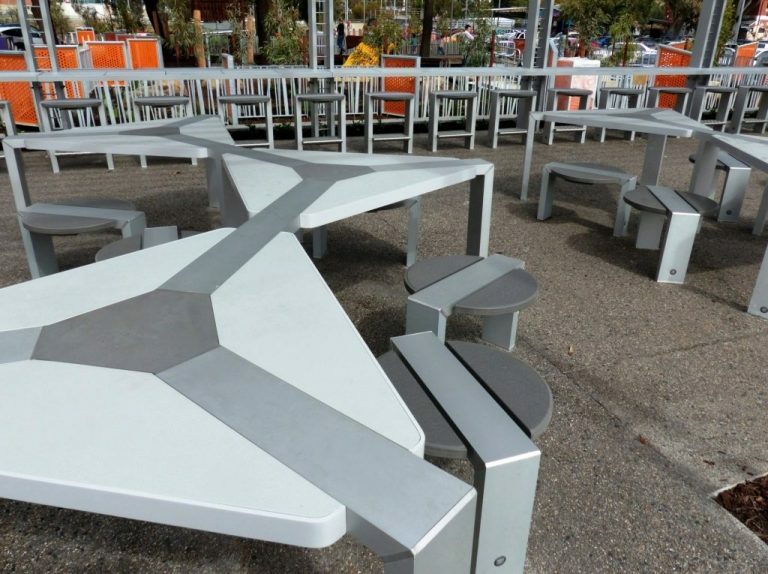 We also designed a chess table setting for the ‘urban play area’ adjacent to the Leederville Skate Park, which also features a bocce pit and outdoor ping pong. These new products are now available as an integral part of our Urban Edge street furniture range. New chess tables for the 'Urban Play' area. Triangular table settings provide flexible seating options. New bar-height stools overlooking the nature playground. 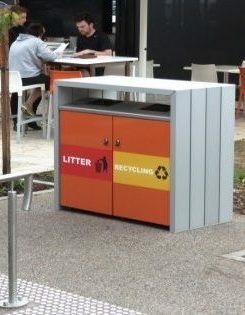 Enclosure for two 120 litre litter bins, with custom graphics.